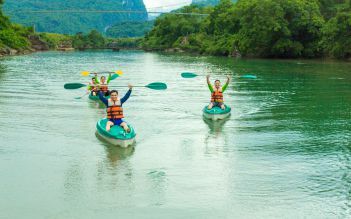 Join tow days 1 night tour, you visit Hoa Lu - the Ancient Royal capital of Vietnam, Tam Coc with views of majestic limestone cliffs and mysterious yet inviting caves, as well as countryside sights, like peaceful streams, rice paddies and deserted green fields in the first day. 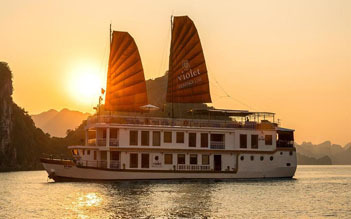 Next day, you will explore the complex of Heritage sites - Bai Dinh pagoda and Trang An. Come and join us! 7.45- 8h30: We pick you up at your hotel at Hanoi Old Quarter. 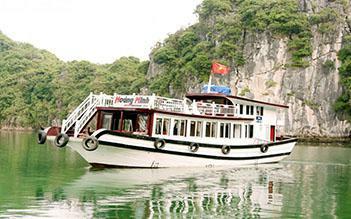 8.30: Departure for Hoa Lu - Tam Coc. There is beautiful roadside scenery on the way. 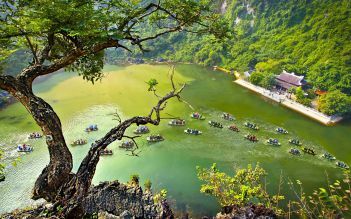 10.30: After arriving in Ninh Binh province, the guide takes you to visit Hoa Lu- the Ancient Royal capital of Vietnam. We will visit Dinh king temple and Le king temple.If you like to go biking, it is a good idea. You will have chance to visit real villages and amazing landscapes by bicycle about one hour (from Hoa Lu Capital to Restaurant). 12.10: You will have buffet lunch at a nice restaurant before boarding a small boat to visit Tam Coc, meaning literally, “three caves” with Halong type views of majestic limestone cliffs and mysterious yet inviting caves, as well as countryside sights, like peaceful streams, rice paddies and deserted green fields, Tam Coc really has it all. 16.00: Check in at hotel in Ninh Binh Province. Have Dinner at hotel, after dinner you have free time. 8h00: Have breakfast with Vietnamese local food at hotel. I had a thoroughly enjoyable day both visiting Vietnam,s first capital and during the boat trip in the afternoon. Travel in the bus was comfortable, lunch was enjoyable and the guides were informative. In my opinion the itinerary was well suited to the locations visited and the travel time to and from. An interesting and visit to the old capital of Hoa Lu with a knowledgeable guide, and a peaceful ride on small boats of 2 passengers each down the river at Tam Coc, with a fun bicycle ride around a village after that. The road trips were in very nice and comfortable small buses. However the buffet lunch was not great. Exactly what I wanted and it was a great trip. Our guide was WONDERFUL and had fun facts and so much knowledge of the area and history. He was just a fun all around! It was far from city but it was worth the trip. I would do it again in a heartbeat.